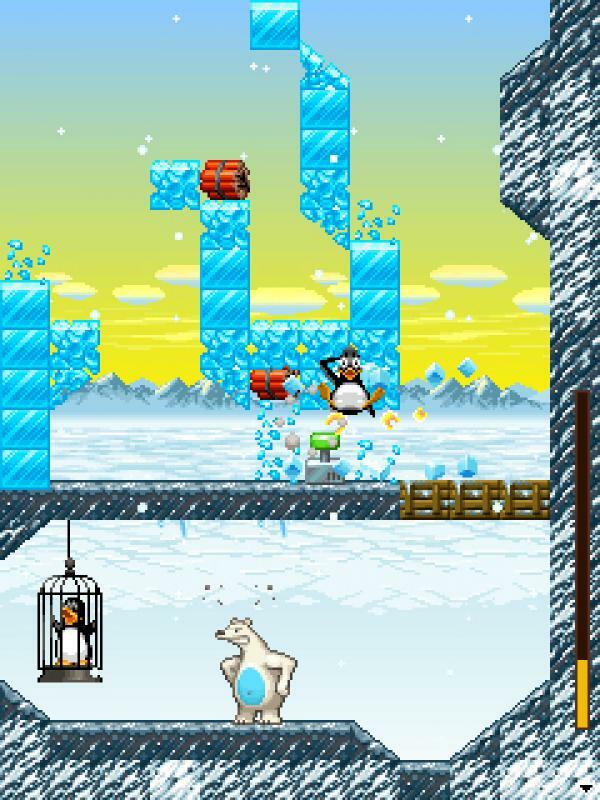 Fend off invading Polar Bears by hurling courageous penguins at them with your trusty catapult! By Digital Chocolate. DChoc. 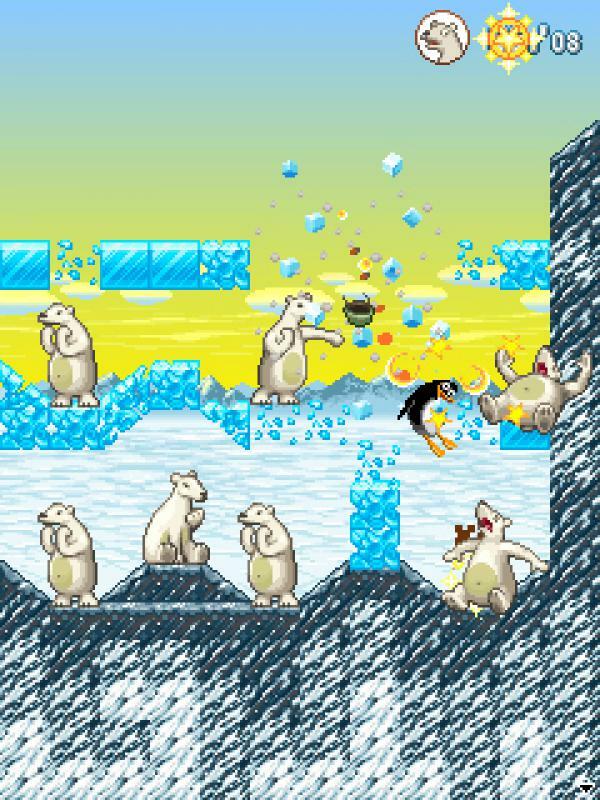 Fend off invading Polar Bears by hurling courageous penguins at them with your trusty catapult! Features Strategy and Campaign modes for endless fun! Campaign mode includes over 30 levels of hilarious action! 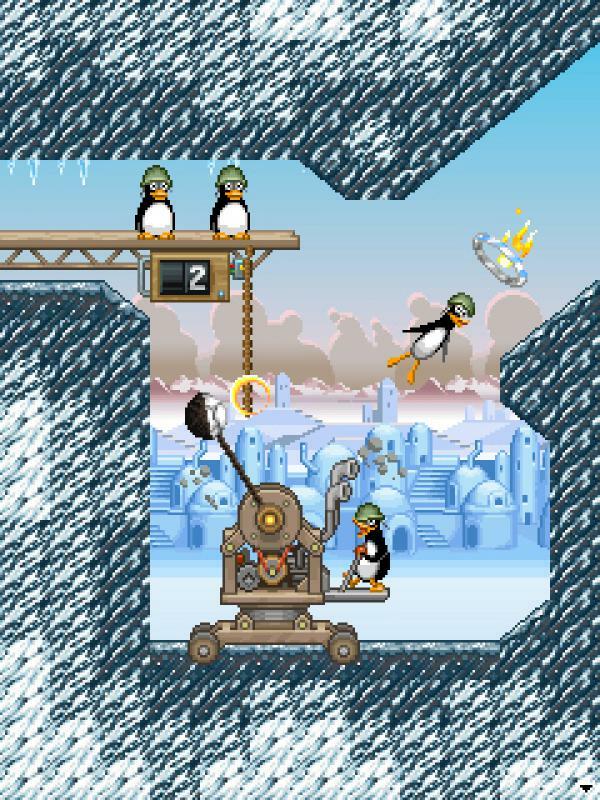 Discover bonus levels, triumph in boss battles and unlock crazy penguin power-ups including Double Ninja, Penguin on Fire, The Twins and more!Features•	Intuitive and addictive one button gameplay!•	Campaign mode: Over the top arcade fun game where you launch to collide with polar bears for multipliers and power-ups!•	Strategy mode: Board game style game where you command armies of penguins to attack and capture enemy polar bear territories.•	Complete the missions for power ups, bonus levels and boss battles!